Federal agents, including members of the FBI and IRS, arrested Correia at 6:30 a.m. Thursday. Correia is charged with nine counts of wire fraud, with a maximum sentence of 20 years, and four counts of filing false tax returns, with a maximum sentence of three years. Correia was escorted into Boston federal court Thursday in handcuffs and shackles, wearing a black suit and a five o’clock shadow. He pleaded not guilty to all the charges, and he was released on a $10,000 unsecured bond, meaning he’ll only have to pay if he skips a court appearance. Correia left the courthouse with a clean shave and a sharply tailored suit, smiling and waving to a gaggle of journalists who awaited him. The allegations surround a startup formed by Correia, SnoOwl, that sought to design an app to help businesses attract targeted customers. The indictment details Correia’s efforts to garner investments from seven unnamed individuals, who invested a total of $363,690 in return for equity stakes in the company. He used the money, the indictment says, to purchase luxury items, including jewelry, cars and clothing; to pay for personal travel and entertainment; to pay down his student loan debt; and to make charitable donations in his own name. In September 2017, Correia confirmed to the Fall River Herald News that he was the subject of a federal investigation regarding the company. He denied wrongdoing at the time and said the investigation was brought on by political opponents. According to the indictment, Correia founded SnoOwl in 2012. In 2015 he ran for mayor of Fall River, touting his leadership of SnoOwl as a credential, then became “increasingly unresponsive” to the inquiries of software developers and investors, the indictment says. He was elected mayor in 2015 at the age of 23 in the wake of a political scandal: a recall effort against the previous mayor that was supported by Correia. 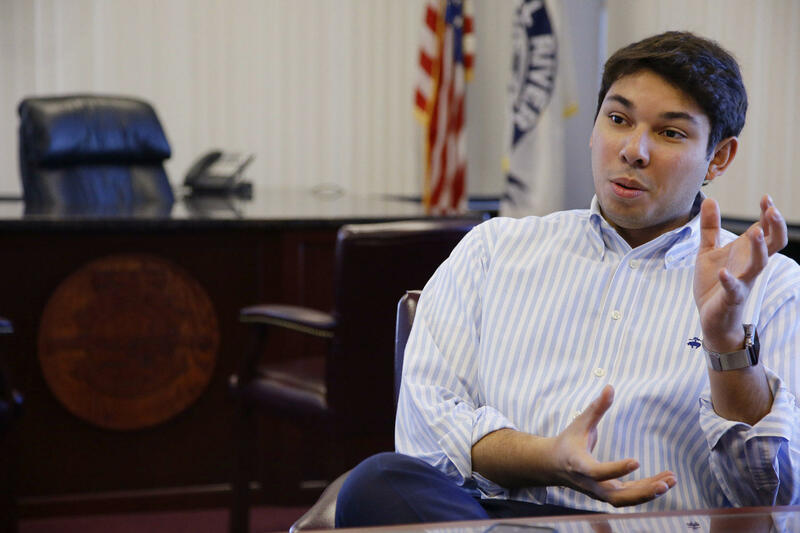 A 22-year-old city councilor at the time, Correia told investigators then-Mayor William Flanagan pulled a gun from the center console of an SUV, placed it on the dashboard, and urged Correia to withdraw support for the petition. The Bristol County district attorney decided not to charge Flanagan, and Correia declined to press charges. But the mayor lost the recall, leaving Correia as the emerging victor. Once elected, he branded himself as Fall River’s first mayor of Cape Verdean descent. He won re-election easily last November. Correia voter Dutee Yaghjain said Thursday he was both saddened and surprised when he heard the news. Another Fall River resident, Melissa Comstock, said Correia’s indictment is no surprise, given the recent political history of her city.